WhatApp Payment Service is Now Available In India. Here is How to Set it Up and use it To Send and Recieve Money. The world's most famous chatting platform WhatsApp has rolled out its Payments service in India to the Android and iOS users. 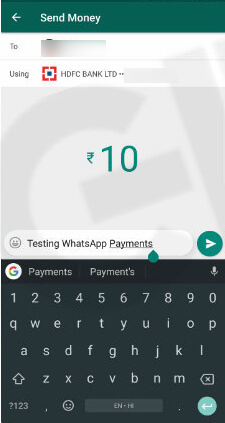 Earlier WhatsApp began the testing of its digital payment service in India with limited beta users. 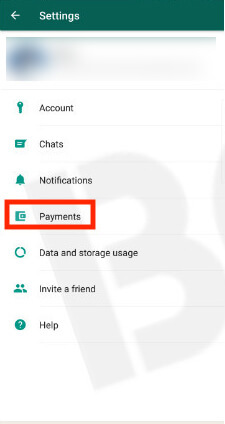 WhatsApp has rolled out its Payment feature for all the user and in order to use the WhatsApp payment feature, users need to update their WhatsApp messenger to the latest version. 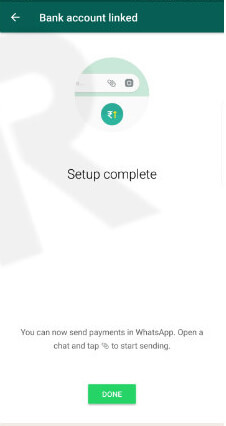 The WhatsApp payment service has been integrated with BHIM (Bharat Interface for Money) and takes the advantage of the UPI (Unified Payments Interface) to let the users send and receive money directly from their WhatsApp messenger. The coolest feature of the WhatsApp Payment service is that the money is directly credited to the recipient’s bank account. WhatsApp has built its payment service in partnership with NPCI (National Payments Corporation of India). The WhatsApp Payment service is available only to the mobile version of the application and not on WhatsApp Web. 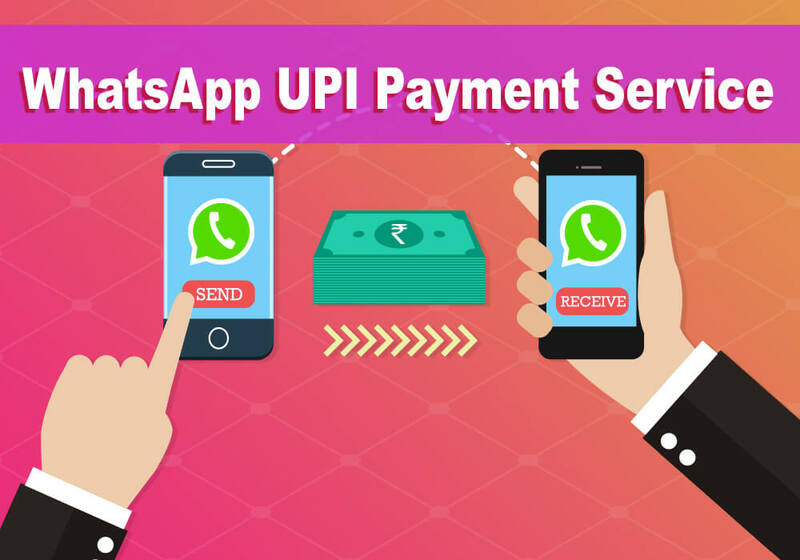 In order to use this service users need to link their WhatsApp number with their Bank Account, as money can be only send to those WhatsApp users who have linked their phone number with the bank account and UPI. In order to make a transaction there is no need to enter the VPA (Virtual Payments Address) or bank account number or IFSC code. 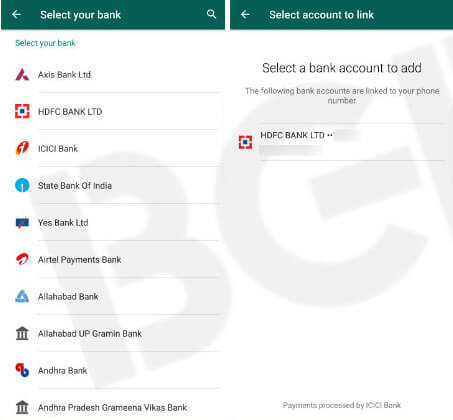 The WhatsApp payment interface supports UPI services from all the major banks including HDFC Bank, ICICI Bank, State Bank of India, Yes Bank, Airtel Payments Bank and Others. Open WhatsApp, and tap on three dots on the top right corner and tap on settings. Now Tap on the option called ‘Payments’ just below notifications. On the next screen, tap on ‘accept and continue’ which will then ask you to verify your number using SMS, just tap on that and allow the app to send an SMS. Once verified, you will see a list of all UPI supported banks. Select your bank and the app will fetch details and show your bank account number. Tap on that and if everything goes right, you’ll see the message saying setup complete. 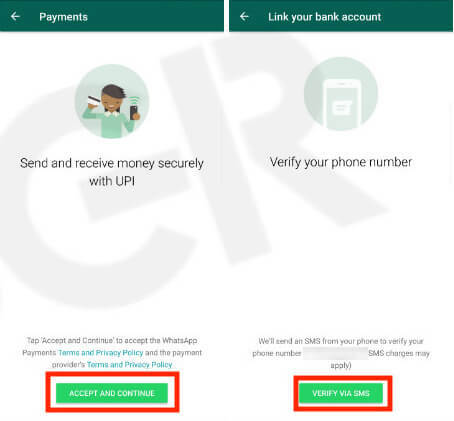 *NOTE: Before linking your bank account with WhatsApp Payments you must verify that your WhatsApp number is linked with your bank account and UPI. Open the WhatsApp, tap on the three dots on top right and tap on Payments. Here, tap on “add new account’ and you will see the list of banks. Select your new or second bank account, and it will fetch your account details. Now tap on set as primary account, to set it as your primary bank account to accept and send money. 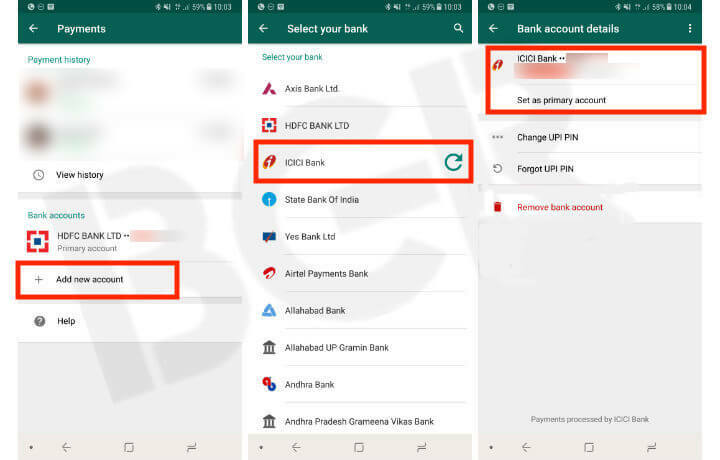 Say you have added HDFC (default) and ICICI bank account, and you want to change your default bank account to ICICI bank, head over to payments, tap on ICICI bank and tap on set as primary account. In order to remove or delete your bank account tap on Remove Bank Account. 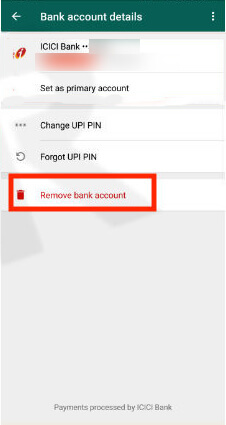 Before sending money to your WhatsApp friends, you must ensure that your friend/ friends have their bank account and phone number linked with a UPI account to be able to send and receive money. If these conditions are met, you can go ahead to send money. 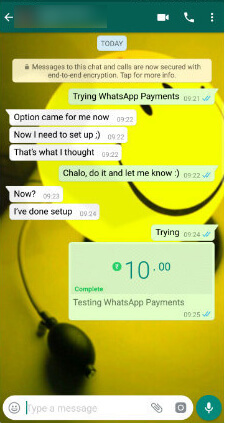 WhatsApp payment service enables you to send money to your friends either using individual chats or in a group too. 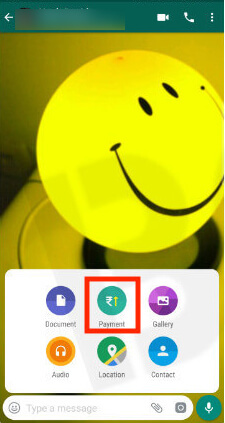 Open individual chat and tap on the ‘Clip’ icon, followed by Payment. If the user has latest WhatsApp version and bank account configured, you can enter the amount followed by a note and tap on the send button. It will ask you to confirm the 4-digit UPI pin, and once authenticated, the money will be sent. In order to send money to someone in group, you need to follow the similar procedure as that of sending money by individual chat. After tapping on the ‘Payment’ icon, it will show you the group members. Select the person you want to send the money to, followed by amount, note and pin, and your money will be transferred. For now, WhatsApp only enables you to send money to the WhatsApp users, and the request money option isn’t available at the moment. 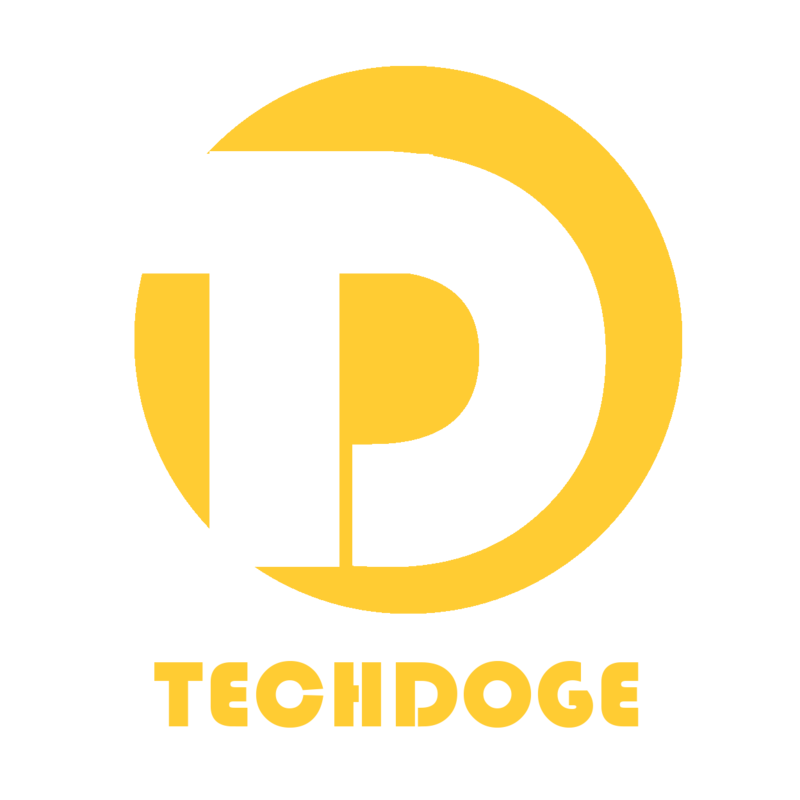 You must also Note that WhatsApp payment is currently available for the beta users of both iOS and Android devices and its official version for everyone is expected to roll out very soon in the coming days.